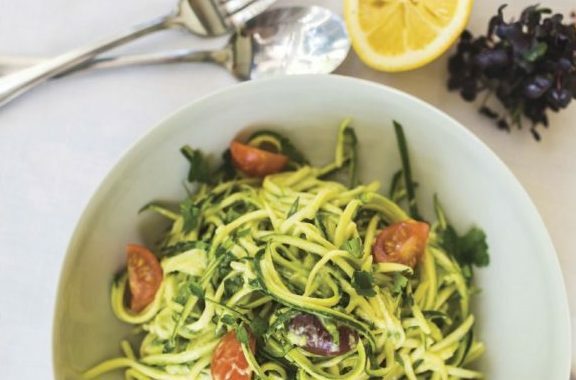 More than the 80 delicious gluten free, plant-based recipes bound together with stunning photography – this book will enrich, nourish and deeply inspire a beautiful way of living. Angie has spent many years catering the best yoga retreats across Australia and draws from this rich experience when creating her stunning recipes. If you’ve ever been lucky enough to experience one of her meals at a yoga retreat you’ll know that every mouthful of her organic and biodynamic dishes are a sensory explosion of joy, taste and nourishment. Our digestive systems are already multitasking. They’re busy breaking food down, extracting nutrients, discarding what’s not needed, feeding our microbiome, producing acid, releasing bile, making enzymes, secreting hormones… Is it any wonder they work less optimally if we add stress or rush in the mix? As we move through the pages, we find ourselves making a contract with our bodies and minds: peace of mind before food; connection to our food, awareness of textures, tastes, seasons and colours; awareness of what enables us to best thrive; connection to people we love; good conversation, curiosity, listening, sharing and bonding. This is Angie’s food, and the recipes in this book all have huge helpings of joy and deliciousness. Set your table, pick some flowers and celebrate the food you have, the miracle that allows us to live this life. Let go of fear and invite grace to share the table with you. I wish you much joy and deliciousness at your table and in your life. Would you like to try a couple of recipes from my book to see if they work for you? 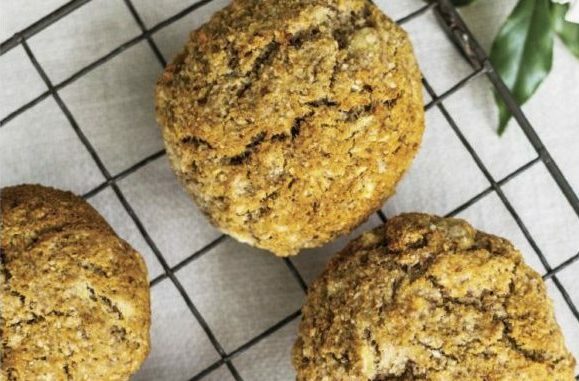 Here are some recipes straight from the cookbook! 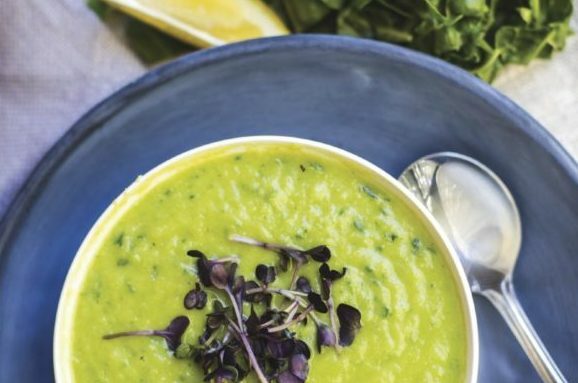 Creamy yet light, satisfying and deeply nourishing, this soup will warm and delight your whole being. 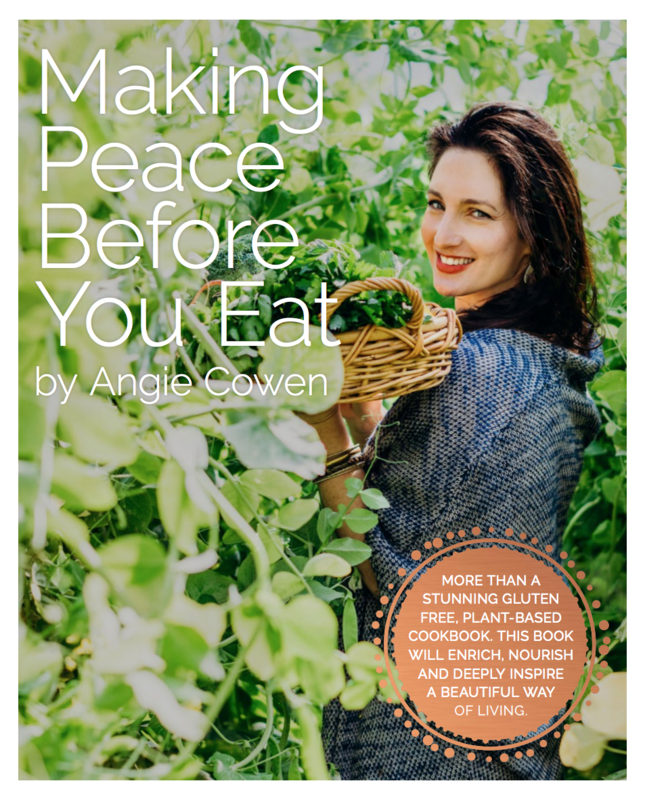 Making Peace Before You Eat is available in hard cover and e-book. Which would you prefer?